A growing number of lawmakers are in accord with health and addiction experts regarding the value of addiction treatment in America. As we quickly approach the end of a second decade rife with opioid addiction, it is of the utmost importance that effective measures be taken to provide help for people living with addiction. Last year, we saw the passing of two bills which addressed opioid addiction in America, the Comprehensive Addiction and Recovery Act (CARA) and the 21st Century Cures Act. Hopefully, the legislative acts will result in more Americans receiving the help they desperately require. It is worth noting that the clear majority of people with any form of mental illness do not receive any type of treatment, especially those living with a substance use disorder(SUD). Channeling more resources towards the field of mental health would not only help the afflicted, it would have a beneficial impact on society. We must never forget the countless family members of addicts who have been touched by the disease. Given that addiction is a progressive disease whose ends are always the same: jails, institutions, and death. It is vital that everything be done to mitigate the risk of anyone of those three terrible outcomes. On top of expanding access to addiction treatment services, the legislation passed last year aims to provide greater access to the life-saving opioid overdose reversal drug—naloxone. 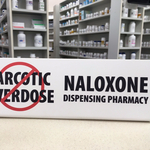 Commonly sold under the brand name Narcan, naloxone has saved thousands of lives in recent years and will continue to so. The caveat, of course, being that the drug be both affordable and accessible with little effort, i.e. without a prescription. One organization who has lent its full support to expanding naloxone access is the Clinton Foundation, a nonprofit which has championed several great causes around the world over the years (i.e. HIV/AIDS). Tackling the American opioid addiction epidemic is one of the organization’s main goals today. It is a cause that is important to Chelsea Clinton who serves as vice chair of the foundation. The former “first-daughter” wrote an editorial published by the BBC, in which she called for increasing access to naloxone. Such efforts are ever important, given the fact that a few naloxone manufacturers have decided of late to dramatically raise the price of the drug. For instance, the pharmaceutical company Kaleo, who makes the naloxone auto injector Evizio, raised the price for two doses from $690 in 2014, to $4,500. If no one can afford the drug, lives with be lost needlessly.